I know I have been a long time getting back to my blog. But isn't this rose arrangement beautiful? A good friend brought that to me last week as she had two of them left on her doorstep by her close friend. He was working at the right place. She kept the red one. But that is just the beginning of my story. Wanted to put some pretties into this tale. About two weeks ago my hubby got so weak from High blood sugar that he couldn't get out of his lift chair. I had to call 911, they are getting to know us real well. Had them take him to the hospital and wanted to make sure they got that blood sugar down. I knew if would be a long haul. He spent 4 days there before being transported down here to the nursing home for rehab. Fortunately they have gotten his numbers down in the 100s. So this beautiful arrangement on the kitchen table looks real good. Yes, I am getting some very good nights sleep, trying to get relaxed and some things done here at home. Am only going to the nursing home once a day. even though it is less than two miles from here. I just have to have some time to myself and my online friends. My daughter was up last weekend and we had a good visit and she would go in and spend lots of time with her Dad. She's having a good time with her very first class of special kindergarten students. Has gotten two of them reading. The first primroses . I wish all of them I've planted there would have grown like this. There is another couple plants in there that haven't started yet. You can see some leaves weren't taken away either. The light is the sun. On the north side of the house I have two nice size Rhododendrons. But it looks like the deer got really hungry. and another naked limb. There is a couple other bushes in the garden at the back of the house that they eat some leaves off also. Those I don't care. This is more of a closeup and the next one shows the whole quilt. I'm proud that I machine quilted this myself. But still like the hand quilted ones the best. I'm trying to get my Christmas quilt finished so am spending a lot of time in my lounge chair watching TV in the living room. Watching the programs I want to watch. Like my soap in the afternoon. Right now I feel like a nap. Don't go up to the home till around five. They don't take the trays down to the ones that don't go to the dinning room until after everyone is served up there. He will not go down there to eat. Likes to watch his Mash at 5 till 7. So I am there for his supper to help but he has to eat by himself. I can't baby him like I did before. He has been standing up a bit more each day and says he's getting stronger. So we will see if he gets strong enough to come home. But I know I am going to have to have some help. Have been having more problems with the pain in my legs and hip and back. So while I had the free time I got an appointment with my Dr. and after telling him I needed some help He sent me for an MRI yesterday but that is for another day. Glad you stopped back. I want to try to get more written. Thanks for stopping. Eileen, it's nice to see you back. Sorry to hear about your hubby - it does sound like he's on the road to doing much better, tho'. Your chexx mix quilt is wondeful! I'll have you in my thoughts Eileen, hope there are health improvements for both of you. You've done a wonderful job with your Chex Mixx quilt, and well done for quilting it on the machine. Eileen, I've missed your posts.I'm sorry hubby has had such a hard time. Hope he will be much better soon. How loving of the Lord to send you those lovely roses just when you needed the encouragement! You have gotten a lot of yard work done. Isn't it nice to see the spring flowers blooming again! I'm glad you are checking in with your doctor. Please take real good care of yourself. Your Chex Mixx is LOVELY! I'm glad your hubby is getting stronger...and that YOU are taking some time for yourself! Good girl! You sure have had alot of things to deal with this spring- it was lovely of your friend to bring you the beautiful roses to brighten your day. I hope both you and your husband feel better soon - it is nice to see that you are getting some support that is helping you. 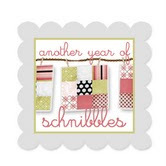 Your chex mixx is terrific - You are such a beautiful quilter. Take care of yourself- it is lovely to hear from you and see you back on line. My thoughts are with you. Hope hubby keeps coming along. Your quilt looks great! 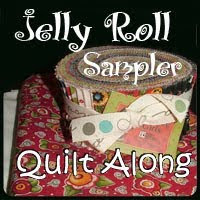 I just found your site through Kim's Big quilting adventure. ALL of your quilts are wonderful...love the colors! !